1. Campus Martius in Meridian Bay on Mars. - 6 players can participate in a race and drive 3 laps around a track for the 1st place. - Players can push away each other and collide with obstacles on the track. - Pass through gates on the track give a temporary speed boost. - In addition, difficult enemies like Fallen and Vex get ahead and take you on the track under attack. - According to Bungie, there will be no Sparrow Models that are superior to others, as long as your Sparrow is at least legendary (purple). 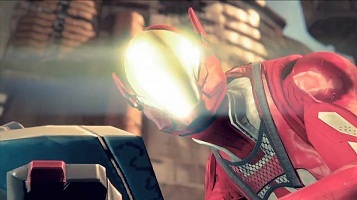 - New helmets and class items that increase your light level up to 320 can. - Racing equipment, although you are not higher light levels, but perks bestowed for the race. - A Book of Records, Shader and emblems, which you can unlock by completing new challenges. - Your chances of success increase considerably if you pass through all glowing blue gates for more speed. It affects significantly to the boost if you missed a gate in between. - To keep the balance, the boost for the winners Goals are always somewhat narrower than for the underlying. - The successive passing through the gates helps you to increase your reputation with the Racing and lets you unlock higher racing licenses faster. - Weapons and abilities cannot be used during the race. However, the Sparrows are quite - destroyed when their competitors shove into obstacles. - Pressing the analog stick can evade your opponent's attacks. So always watch your position and be ready to attack. - Drive the far 2 available routes again and again to get to know them and to discover shortcuts.